Every time a new generation of the 911 is unveiled, Porsche gets nervous. On the one hand, the manufacturer knows it has a duty to make sure the product evolves so that it remains not only current, but cutting edge. Makeovers are inevitable. On the other hand, the history of the 911 is so rich and its fans so passionate that every change is keenly scrutinized, and then, without exception, criticized. Heck, there are people out there who are still whining about water-cooled engines! Also: 2020 Porsche 911: Off to Germany for the 992 Deep Dive! With the eighth generation of the 911 (codename 992), Porsche is offering a nice mix of yesterday and tomorrow. Two of its wheels are firmly planted in tradition, while the two others are speeding straight toward the future. You’ll immediately notice the family resemblance between the new 992 and its seven predecessors. There’s nothing novel about the 2020 911’s oh-so-round headlights in front, plunging roofline or four-seat, rear engine configuration. The 992 upholds the tradition that Porsche began in 1963. But if you were to place the 1963 and 2020 models side-by-side, you'd realize just how much the 911 has been gentrified over the years. Once a compact car, this German icon has progressively gotten bigger. The trend hasn't stopped with the eighth generation, which is the heaviest on record despite the more widespread use of aluminum. Not only is it longer and wider than all of its predecessors, but the 992's taillights extend from one side to the other, accentuating its cartoonish width. The design looks great, but we would have liked for Porsche to halt this incessant growth. To compensate for this umpteenth weight increase, Porsche reworked the engine configuration to squeeze more power from it. 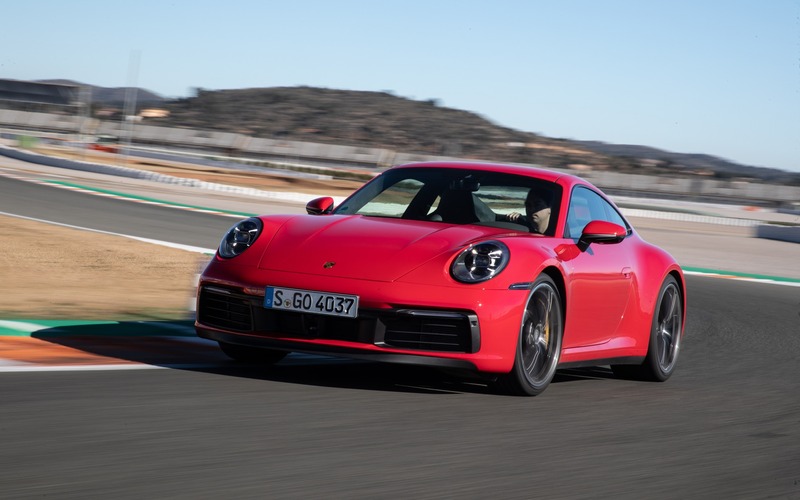 The 2020 911’s twin-turbo, 3.0-litre flat-six generates 443 horsepower, which is 23 more than in the 2019 Carrera S. The torque jumps from 368 to 390 lb.-ft. 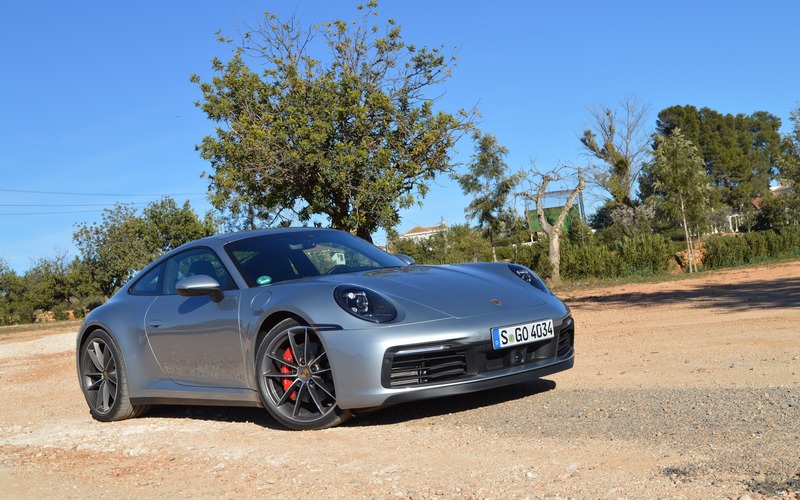 This increased output is enough to give the new 992 the best weight-to-power ratio in the model's history. Its honour is safe. For now, there are only two versions of the 2020 911: the Carrera S and the four-wheel-drive Carrera 4S. They can sprint from 0 to 100 km/h in 3.5 and 3.4 seconds, respectively. 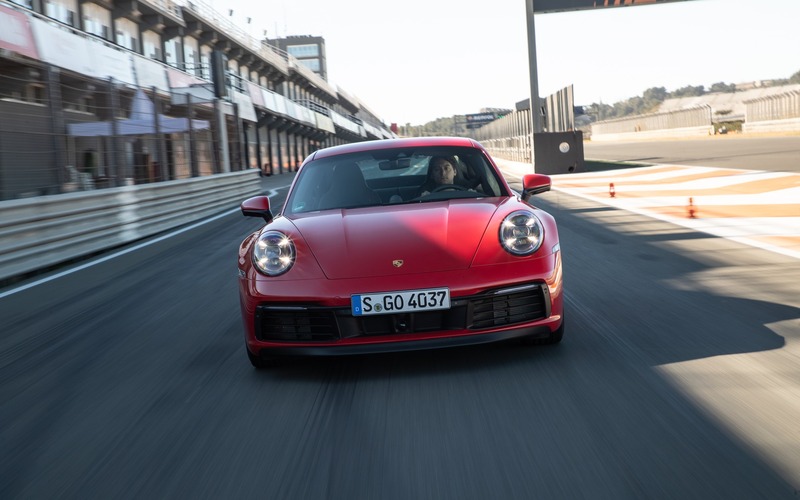 Porsche claims that the 992 can complete the famous Nüburgring circuit five seconds faster than the previous-generation Carrera S.
Of course, the extreme versions of the outgoing generation like the GT3 and GT2 RS remain far more dynamic. More ferocious versions will be added to the lineup in the next few years. Porsche has already hinted that a hybrid version could be in the offing. In the meantime, the new Carrera S is absolutely nothing like an entry-level model. With 21-inch rear wheels and 20-inch front wheels—all of which are fitted with Pirelli P Zero tires—the German sports car seems to stick to the road and taking corners in it is pure joy. The 2020 911’s braking system has six-piston callipers in front and four-piston callipers in back. Its blazing acceleration and top speed of more than 300 km/h are just the tip of the iceberg. Beyond the numbers, it’s a brilliantly designed model that is equally at ease on the road and on the track. The 2020 model is true sports car that can be used year round, especially the four-wheel-drive variant. 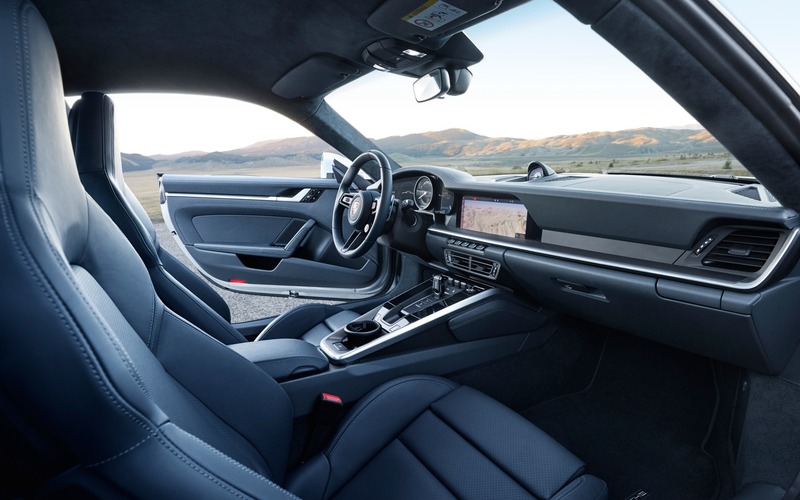 This new beast comes with a very low, performance-oriented driving position, but that doesn’t prevent the 911 from offering decent overall visibility and rather impressive comfort. On the other hand, you may as well forget about the two back seats right away. They aren’t really very useful, not even for children. The twin-clutch PDK automatic gearbox now has eight speeds instead of seven and remains astonishingly efficient. In my humble opinion, it’s quite simply the best automatic gearbox in the automobile industry—period. As if by magic, it adapts to the selected driving mode, which helps the 911 be simultaneously docile on the road and hard-nosed on the track—the best of both worlds. A seven-speed manual gearbox remains available, but we didn’t have the chance to put it to the test during the initial introduction. In what Porsche tells us is a nod to the original 911, the instrumentation has been redesigned and is now integrated in a more horizontal manner. 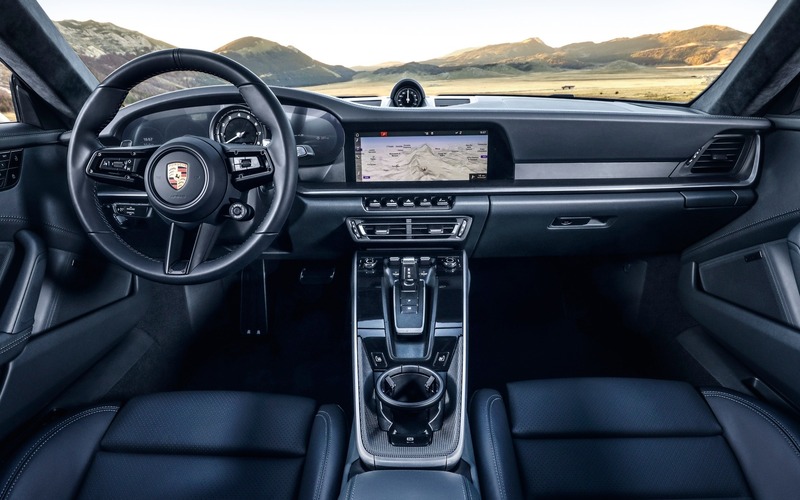 A lot of information is transmitted by a 10.9-inch touchscreen, but Porsche took care to keep several physical buttons in its new 911. Once again, the marriage between traditional and modern approaches is excellent. You guessed it: all these new features come at a price. When it arrives at dealerships this fall, the 2020 Porsche 911 Carrera S will be sold for a starting price of $129,100, which is 7.5% more than the 2019 Carrera S. The increase is similar for 4S, which jumps from $127,900 in 2019 to $137,400 in 2020. If the previous generations are any indication, a “regular” Carrera version will eventually join the fold, with a slightly reduced price tag. Then over the next few years, expect to see a whole host of variants follow, each faster and more outlandish then the last. We definitely haven’t heard the last of this new generation of the Porsche 911! And that’s great news. Once again, Porsche has created a sure bet. The 2020 911 offers irreproachable quality, just like the versions that came before it. 7/10	You don’t buy a 911 for its fuel economy, but frankly it isn’t too bad. 7/10	The seats are designed with performance driving in mind, but they are comfortable enough for day-to-day driving. However, forget the back seats. 8/10	With 443 horsepower, it’s hard to complain. Imagine the variants that will follow! 9/10	The 10.9-inch touchscreen is easy to read and use. 9/10	A formidable car, both on the track and on public roads. 9/10	Porsche did its homework.